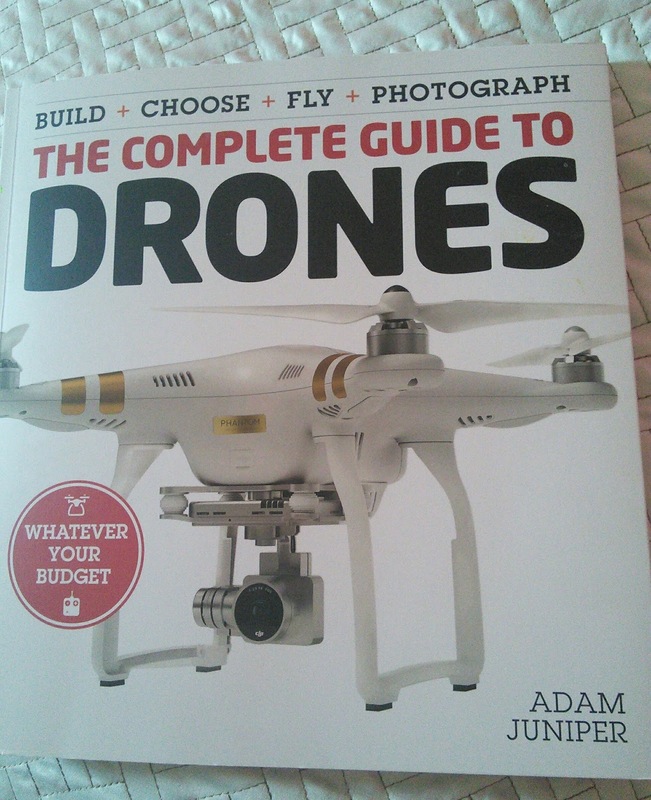 Publisher: Quattro Publishing Group, USA Inc.
Adam Juniper’s The Complete Guide to Drones: Whatever Your Budget answered many questions I would never have thought to ask. Whether you are a beginner, a professional photographer, a seasoned aficionado, even a curious consumer, you won’t be disappointed. Juniper, a skilled pilot from the United Kingdom demonstrates the “how-to” on drones with expert instructions and diagrams throughout the chapters. His talents don’t fall short of “worldly” as author and an expert on anything drone related. Adam is a photographer and videographer as well as a descriptive writer on the subject of flight. In an ever changing 21st century technology of things – this Guide will help you reach a wise decision before purchasing. I gave it a chapter-by-chapter, page-by-page perusal. I don’t own a drone but I found this Guide easy to understand and educationally entertaining with fun trivia in the mix. For example, the Introduction of Marilyn Monroe, a movie star beauty from the 1940s, helped assemble drones during World War II. She was first spotted at a munitions factory in California and she models in the photo. That caught my attention – drones from the 1940s. Who knew? In the chock full of history chapter, Adam makes reference to the Consumer Electronics Show (CES) and attendees’ favorite exhibition in the 2010 show in Vegas. Parrot, then a little known company from Paris, attracted crowds to their “dancing drones.” I attended as a reporter and it is one of the favorite crowd pleasers. Year after year, Parrot brings drones to life with even more precise and complex moves. However, while Parrot remains on top of the world, others have joined the competition. You will be able to read about the many choices – some drone companies are ones you may have already heard of. From the exhibition floors to marketing into the homes of millions, drones are flying all around us. According to CES 2016 Daily Magazine -- sales reached over $105 Million in 2015. One year later, Vegas CES 2016 Unmanned Systems Marketplace featured 29 exhibitors with sales up 208% from CES 2015 stats. Drones are now in the homes of hobbyists and in the hands of professionals. Juniper has hit the market with impeccable timing. Buy or build a drone or just figure out what they are all about. There’s one for every budget and lots to consider. Juniper opens up the wide eye view lens so a consumer can see the whole picture from charts to community drone groups for all levels of drone enthusiasts. 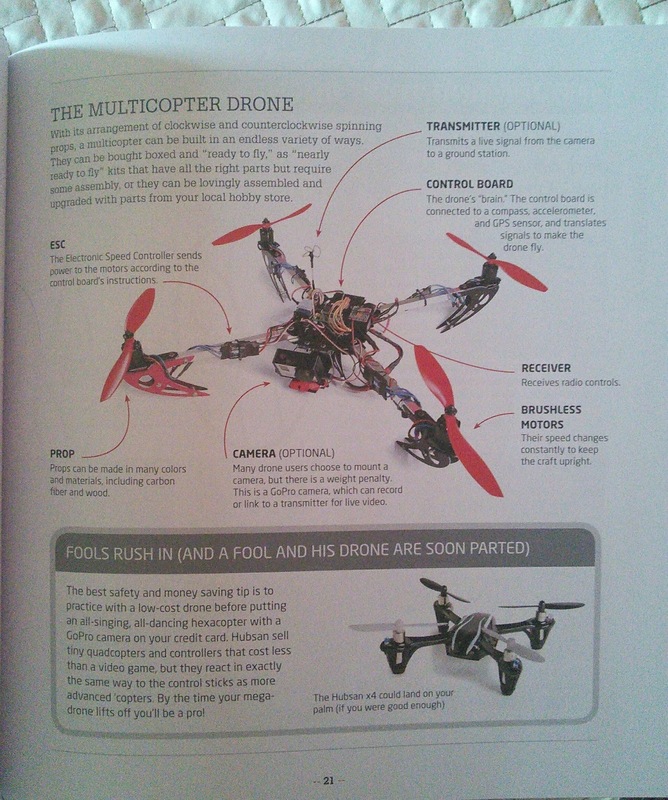 From Chapter 1: Drone Basics, you’ll get a detailed history lesson from military to prosumer drones to toy drones and more. The history section details information with visuals to connect to explanations . This format is consistent in every section. You can go back in time or into real time “what to expect”. It’s an eye catching layout too throughout all chapters. In Chapter 2: Powertrain explains, again in detail, each and every component from motor to the landing gear. Even a professional can learn something new. 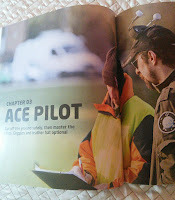 Chapter 3: Ace Pilot takes to the skies. Once take-off is mastered, the reader can enjoy the scenery. 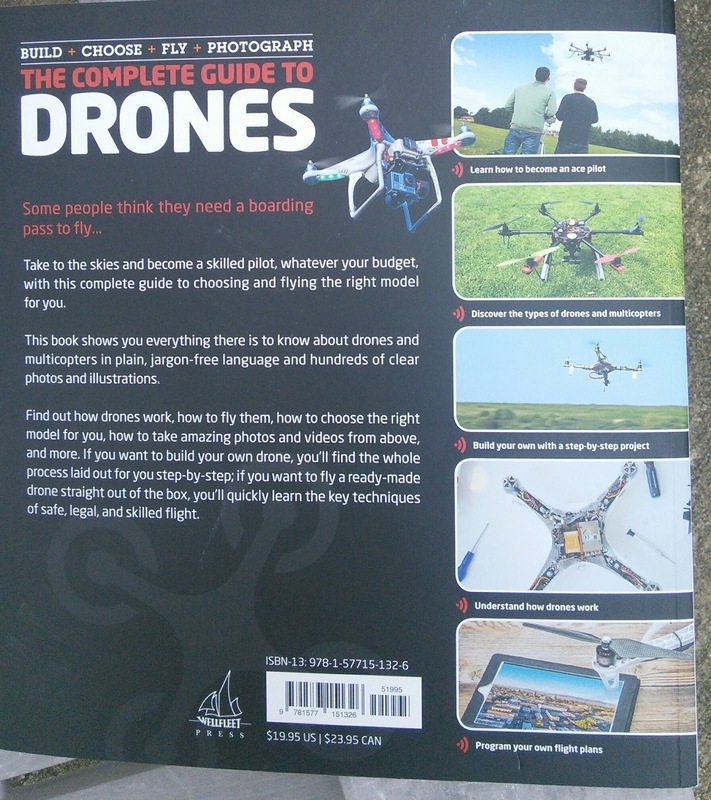 Chapter 4: Videos and Photos, will take you to spectacular views and by the time you reach Chapter 5 – Build Your Own, you can take a look at precision diagrams and instructions on just how one can build a model, even in addition to your store bought drone. This Guide can be referenced as needed. You’ll want to get familiar with choices in cameras, like Go-Pro and other accessories such as Oculus Rift’s 360 virtual reality glasses. Options are endless. When it comes to a decision on budget, buying and or even building your own, Adam Juniper has a well written and much needed Guide which I intend to keep on my bookshelf. Last but not least, the world may be your oyster, but, the skies are governed by laws for the safety of all. This author gives you all the details and few other international laws in a sideline. You will learn regulations before flying in foreign countries and in the USA. Know the laws before your flight into the wild blue yonder. You might pay a hefty fine if ignored. 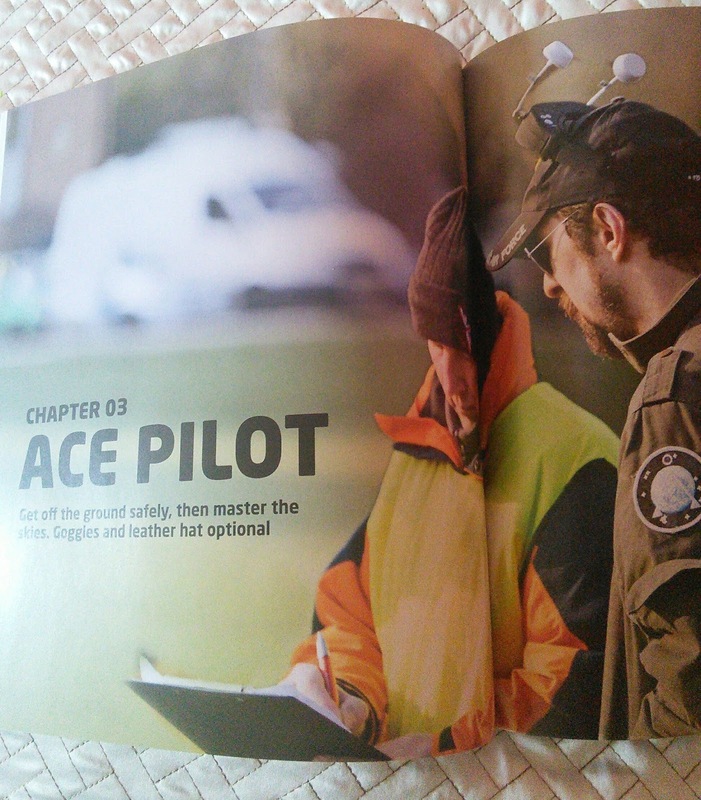 Adam Juniper (and his team) have laid out all the tips and trips you’ll ever need to become a well-informed pilot and drone owner. He has a channel on YouTube and maintains a website, so you’re never too far from the latest additions. I recommend this book without reservation to anyone and just about everyone. It’s a keeper.